Chelsea are reportedly facing a potential blow to their summer transfer plans with Juventus close to committing defender Daniele Rugani to a new long-term contract. The 24-year-old has been on Maurizio Sarri's radar since his arrival at the Bridge but the Blues have not quite managed to convince the Bianconeri into a transfer agreement. Nonetheless, there have been suggestions that the Blues could make a summer move for the Italian but that could now be off the cards with the defender nearing a contract renewal with the Serie A holders. According to Calciomercato, the Italian champions have offered the defender with a fresh four-and-a-half year deal which would significantly increase his wages from £1.5m to £2.6m a year. 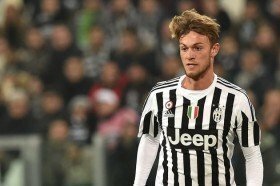 Should the agreement go through, Rugani would become the fourth player to commit his long-term future to the Turin giants after Sami Khedira, Miralem Pjanic and Alex Sandro did so earlier in the season.